Ever been to a show where the warm-up band blew you away? I'll bet you have if you seen Drew Holcomb and the Neighbors open for Ryan Adams, Los Lobos, The Avett Brothers, or Robert Earl Keen. Holcomb's been working hard for the past decade and it's starting to pay off. He's got a new CD coming out and his publicist sent me his previous release, Good Light, in hopes of drumming up some interest. It worked. I'm a fan. Holcomb is based in Nashville, but he's far more than just another hungry musician hoping for a lucky break. Good Light is filled with the best kind of hooks: memorable melodies and stick-in-your-head turns of phrase. His band, The Neighbors, are topnotch–at home with rock and roll, country folk, or blues, and Holmcomb is like a cross between Steve Earle and Robert Earl Keen; that is, some husk and spit tempered with some occasional optimism and gentleness. 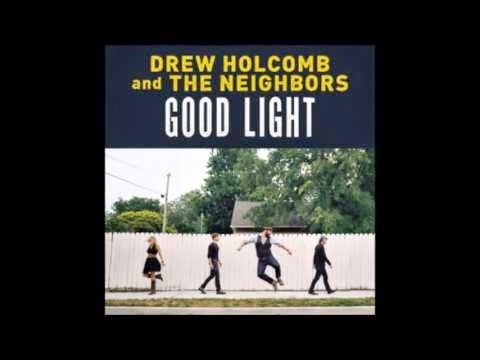 Good Light is an album of many colors–the Country ditty "Rooftops," the hard-driving "Nothing Like a Woman," the nasal Dylanesque "Can't Take It with You," the body-slapping "I Love You, I Do," and the soulful "Nothing But Trouble," with an organ screaming like it's trying to get back to Motown. And, man, can Holcomb write a memorable line. You don't have a lot of hope for the long-term viability of a relationship with this line: I've got nothing but trouble, baby/You've got nothing but time/We've got two hearts beating/For a good time…. I'm sure it will be. I'm also sure they'll regret it in the morning. This is one of those albums that give you earworms–and your happy about it. Can't wait to catch Holcomb somewhere on the road. Here's a video from this album. Hear for yourself.